Lil Durk Grabs Quavo and Lil Yachty for New Song "Homie B*tch"
AMC’s The Walking Dead enters its final three episodes of the season, and things have become more dire than ever before between Negan and Alexandria. Trepidation ran high immediately the moment Denise, the only doctor in Alexandria wanted to get out into the zombie world to find medicine. The episode centers around Denise and Eugene finding their inner strength to become valuable members of the community. Unfortunately only one of them will make it until the next episode to show it, the other took a flesh wound. Denise suggests a scavenging run to an apothecary she witnessed before joining the group, asking Daryl and Rosita to protect her on the run. While driving to the drugstore, the road is blocked by a fallen tree, the first sign they should turn back. When they find the supply store which is very creepy, they find a ton of drugs, but also Denise faces her first encounter with a walker. Before she can execute it she sees the leg of a dead baby, scaring her out of the room. With their packs full to the brim with medicine, they head back. During the walk, Denise spots a cooler in a walker filled car, and decides to take it on without the help of the other two. 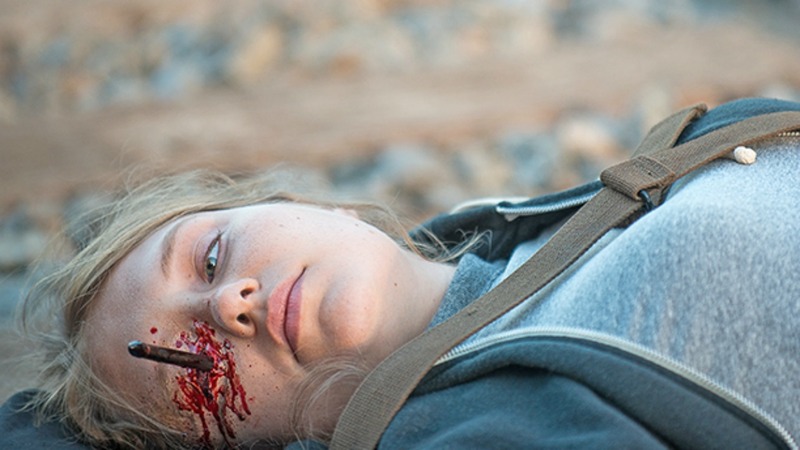 What was a promising moment for the character, ends abruptly, Denise takes an arrow through her head mid-sentence in what was an encouraging speech to Daryl and Rosita. The town doctor is now dead. 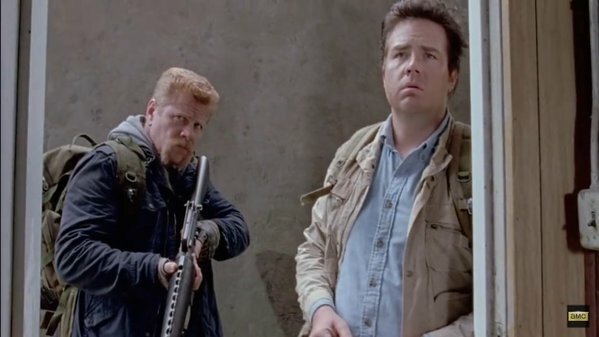 Meanwhile, Abraham and Eugene go through a similar trial as Eugene steps up and tries to execute his first walker. More importantly Eugene reveals a plan for Alexandria to produce their own bullets, which should come in handy considering what happens next. Right after Denise is executed a familiar face emerges, Dwight comes out of the brush with a posse of Negan’s crew holding Eugene at gun-point. He manages to distract them and while the guards are looking for a wandering Abraham, he bites the attacker in the groin. A fight ensues for guns, and Dwight and his goons are forced to retreat, but not before wounding Eugene. They are sure to return and Alexandria must prepare for all out war. 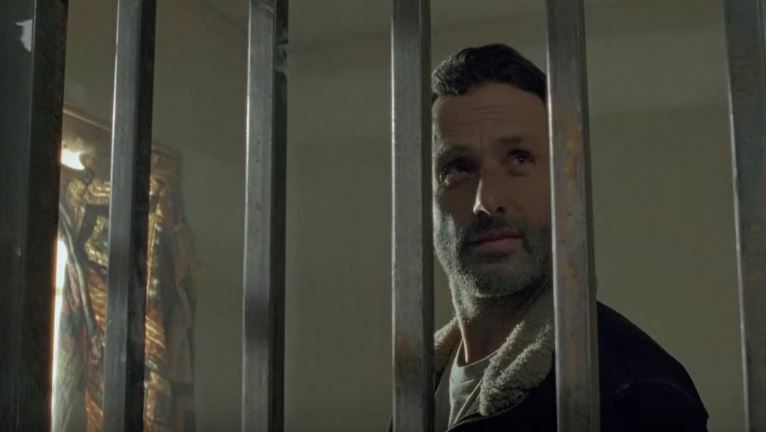 We found out that Morgan was welding a jailhouse door in the last episode, to create a cell to “give you more options next time,” he tells Rick. Carol is becoming unstable and unable to live the normal life in the compound and plans to leave. Where will she go? And will she return? The episode ends with the town preparing guns for a sure attack by Negan’s men. We are going to find out soon who, and how big Negan’s camp is.